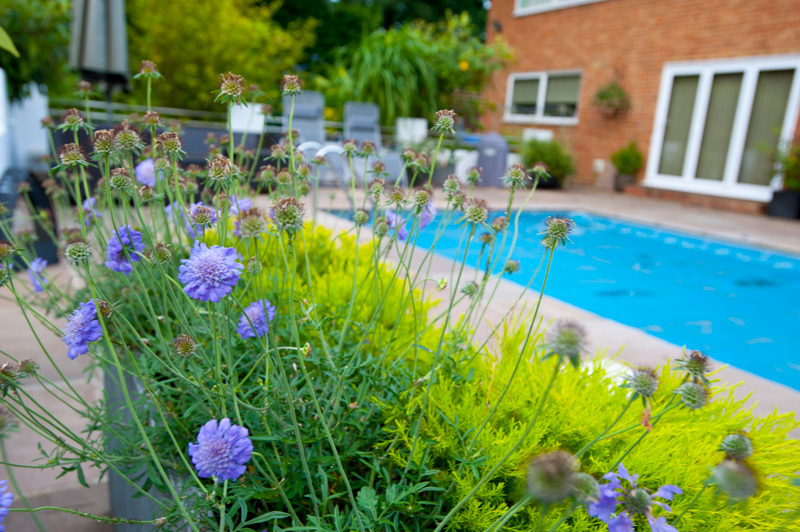 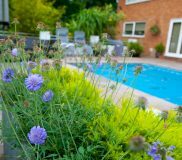 This client required their existing pool to be relined and for an upgraded boiler to be installed. 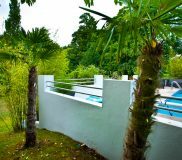 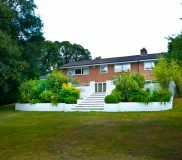 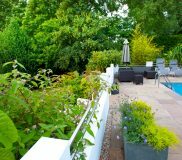 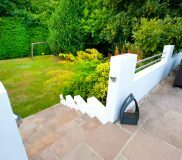 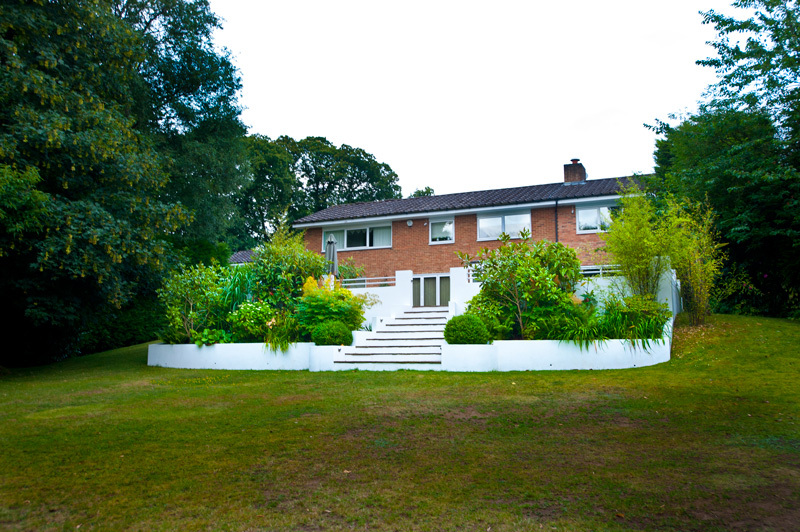 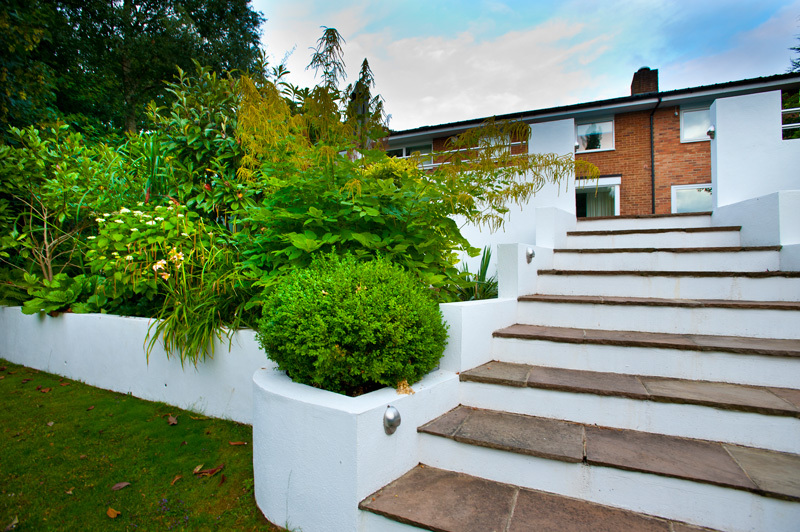 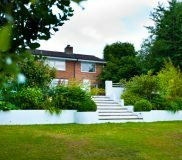 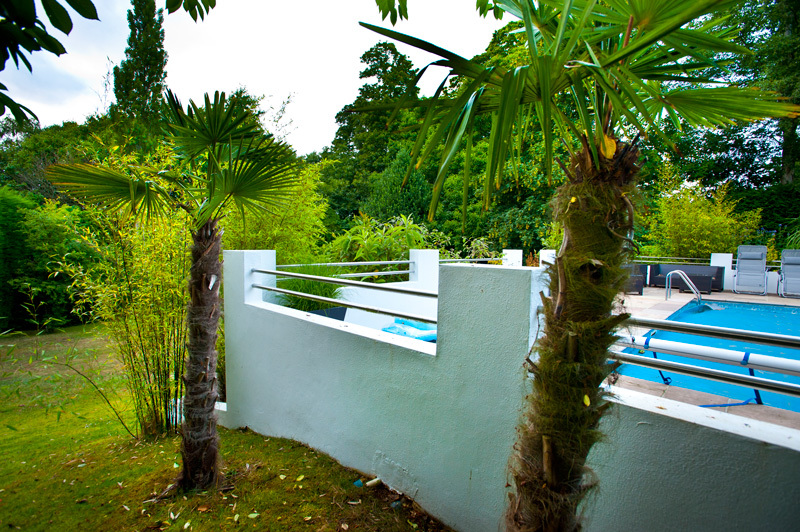 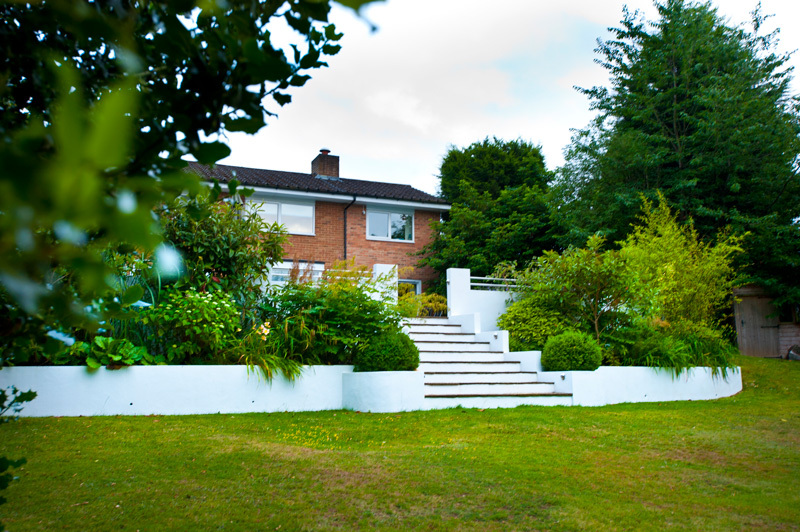 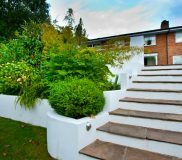 We oversaw this project whilst re-paving the surround of the pool and adding new white-rendered walls and steps with an art-deco feel. 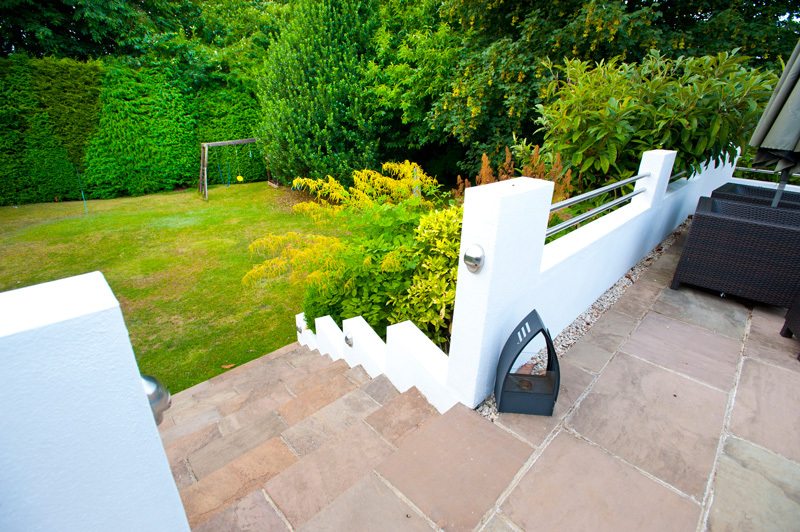 The design was completed with specialist stainless steel rails atop the walls. 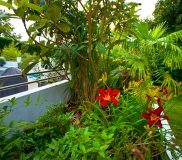 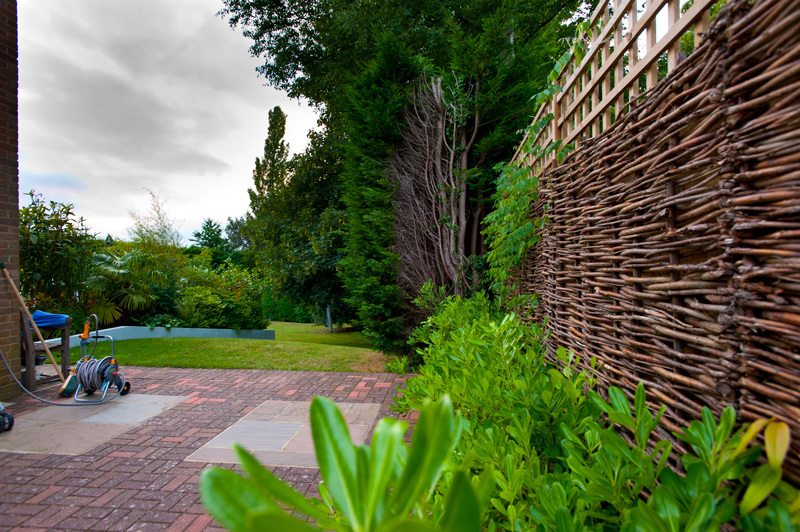 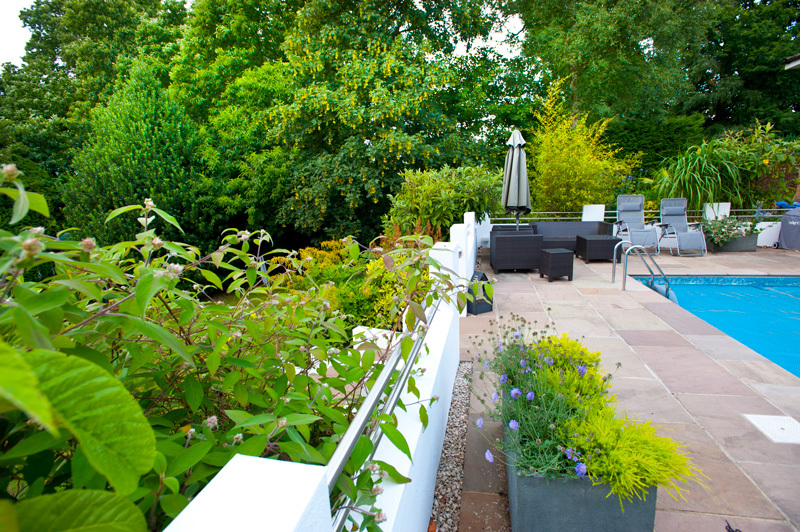 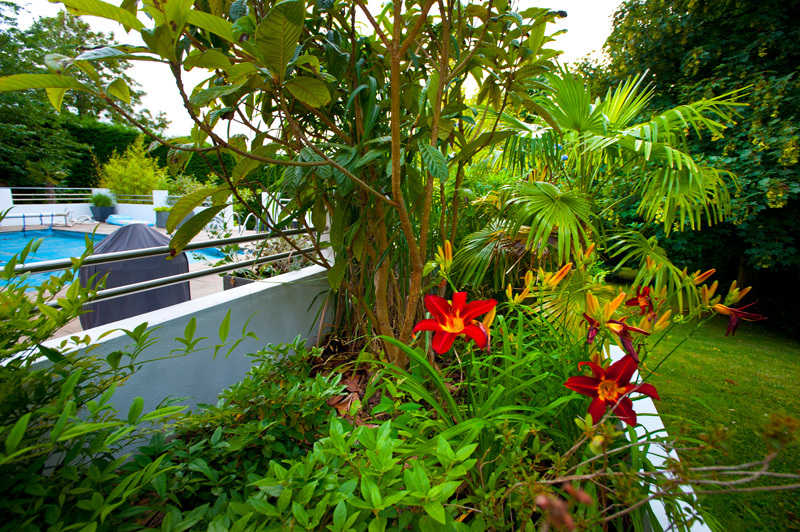 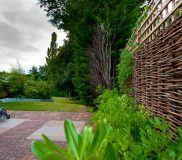 We introduced an extensive array of exotic planting to complement the existing surroundings, and the design was enhanced with a garden lighting system.